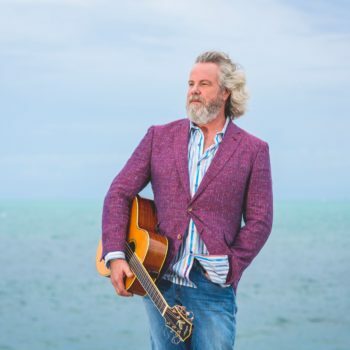 Austin City Limits is thrilled to announce the host of the 2019 ACL Hall of Fame: legendary Texas singer-songwriter Robert Earl Keen. This year’s celebration, to be held October 24th, honors the newest class of inductees: Lyle Lovett, Buddy Guy and Shawn Colvin. Save the date for one of the cultural highlights of 2019, a star-studded night filled with performances and collaborations from music’s finest. Tickets for this one-of-a-kind celebration will go on sale Friday, April 12 at 10 a.m at acltv.com/hall-of-fame. The event is held at ACL’s studio home, Austin’s ACL Live at The Moody Theater. More information about performances, presenters and additional guest stars will be announced prior. Keen debuted on Austin City Limits during 1989’s Season 14 as part of a Texas Showcase and has made four acclaimed headlining appearances in addition to appearing as a guest of Lyle Lovett in 2000 and returning for ACL’s milestone 40th Anniversary special in 2014. His songs have been recorded by Nanci Griffith, Joe Ely, George Strait, Gillian Welch, The Highwaymen and more. Keen has received many, many accolades along the way, including his recent 2019 induction into the Texas Cowboy Hall of Fame, where he was presented with the Rick Smith “Spirit of Texas Award”. He became the first recipient of BMI’s Troubadour Award in 2015 for songwriting. In 2012 he was inducted into the Texas Heritage Songwriters Hall of Fame (alongside his longtime friend and Texas A&M classmate Lyle Lovett) and received the Distinguished Alumni Award from Texas A&M University in 2018. We hope you’ll join us as Robert Earl Keen saddles up and anchors our tributes to Buddy Guy, Shawn Colvin and Lyle Lovett when tickets go on sale this Friday, April 12 at 10 a.m at acltv.com/hall-of-fame.